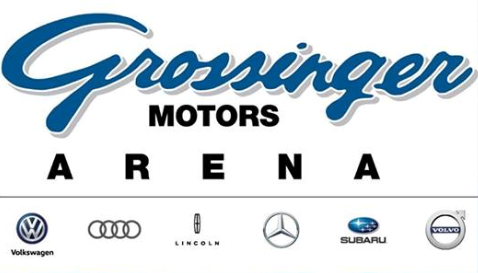 BLOOMINGTON — Grossinger Motors, which has a auto dealership in Normal, was awarded Thursday with the naming rights for the downtown Coliseum. The company, which is based in the Chicago area, takes over as lead sponsor of the arena from U.S. Cellular Coliseum which sponsored the city-owned arena until March 31, 2016. The agreement with Grossinger extends until 2022. The company will pay $175,000 each of the five years — the same amount paid by former naming rights sponsor, U.S. Cellular. Grossinger representatives, at a news conference at the Coliseum, said the partnership allows the company to strengthen its ties to the Twin City community. Grossinger has operated its Twin City dealership, at 1430 Fort Jesse Road, for four years and has operated out of the Chicago area for more than 90 years. Because it no longer has stores in the Twin Cities, U.S. Cellular opted not to renew an agreement that gave the company naming rights for 10 years for $175,000 annually. The agreement expired April 1, 2016. That same month, the city selected VenuWorks, an Ames, Iowa-based venue management company, to manage the Coliseum. Central Illinois Arena Management had managed the city-owned venue for its first decade of operation, but did not renew its contract that expired on March 31, 2016. Among VenuWorks’ objectives in reviving the facility’s revenue streams was finding a new naming sponsor.